We offer several different types of air dryer to ensure we meet or exceed your quality requirments. Enclosed in a sound suppression canopy to reduce noise levels, FD dryers stand out by being among the most environmentally friendly and quietest in their class. They fully comply with ISO 14001 standards and Montreal Protocol regulations, and use CFC-free refrigerants to prevent any damage to the earth’s ozone layer. FD dryers have an ozone depletion potential of zero. Offer a steady pressure dew point down to 3°F/37,4°F, with no freezing of condensed moisture, and no chance of moisture entering the compressed air system. They are constructed from generously sized, quality components. A simple and proven design is backed up by an effective control system (hot gas bypass) to ensure reliable performance. 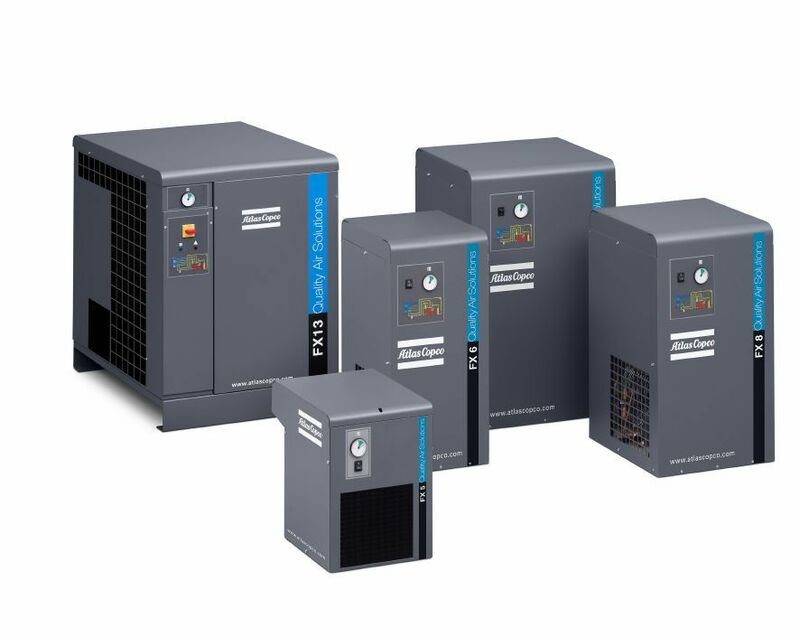 Atlas Copco’s CD+ heatless desiccant dryers protect your systems and processes. 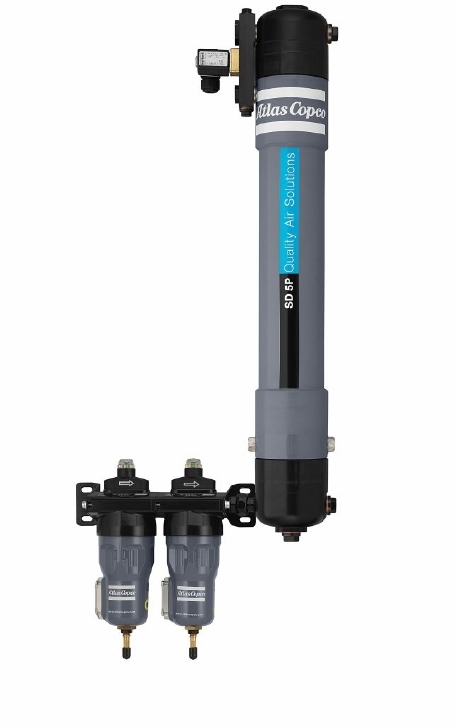 Their robust design ensures they operate with total reliability and deliver a constant, stable dewpoint in full load conditions and even during a temporary overload. The result is dry and clean compressed air for a broad range of industrial applications. Technological innovations ensure that this air is produced reliably and cost-effectively. Our CD+ dryers are available in a range of sizes with a guaranteed dewpoint down to -40°C/-40°F (optionally -70°C/-100°F), and come in an IP54 protected cubicle. 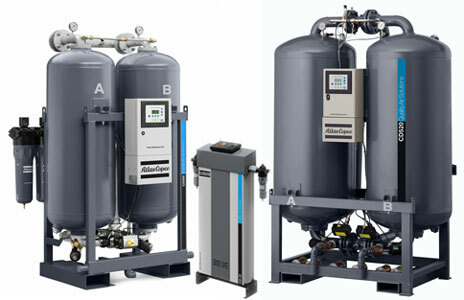 Atlas Copco’s SD membrane dryers with pre-filters remove oil, particles and moisture from compressed air in the most demanding conditions. They ensure the lowest pressure drop and purge air loss for the highest possible efficiency – saving you time and money through your production process. From small spaces to environments with fluctuating ambient temperatures, SD dryers can perform in a wide variety of harsh and critical conditions. Two models are available, each with a range of performance, to offer you the exact air treatment you require.